Fancy is the place for you to discover and buy amazing thingscurated by our global community. - Collect & Share: Fancy yourfavorite items, create your own wishlists, and earn credit forsharing your collection with friends. - Buy on Fancy: One app.Thousands of stores. Millions of things. - Find the perfect gift:Create a group gift, shop gift guides, send a Fancy gift card, orbrowse the gift recommendation engine. 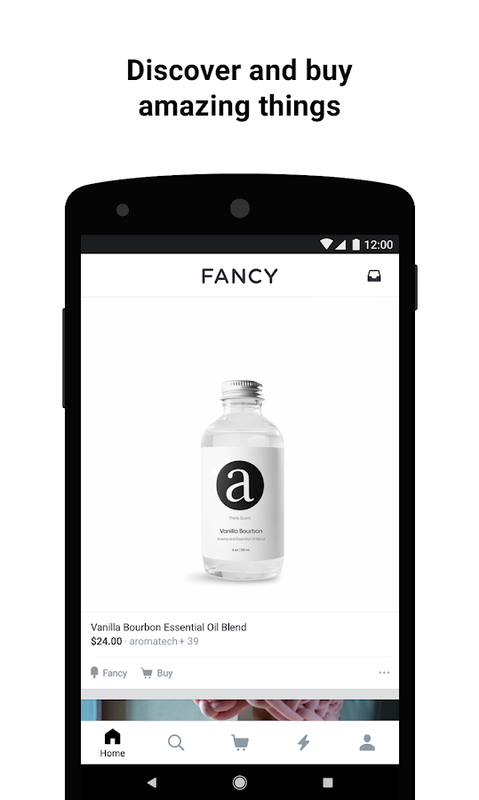 Fancy is optimized fortablets, phones and HD devices. Fancy supports Android Wear! - Usea voice command ("Start Fancy") to launch Fancy and browse itemsfrom your wear. - All your notifications will be displayedbeautifully on your wear device, and you can interact with them(Fancy, Buy, Reply). Send feedback to [email protected] Note: Wecollect usage data to improve the service. You may disable thisfunction anytime in settings. ZenWatch Remote Camera is a companion app for your ASUS ZenWatchthat turns it into a remote control for the camera on yoursmartphone or tablet. Remote Camera opens up new photographicopportunities by displaying your smartphone's camera viewfinderremotely on ZenWatch, freeing you to take photos from creativeangles where the viewfinder would be difficult to see, such as whenholding the phone overhead at a concert or other crowded event.Remote Camera is also useful for group photos, letting you composethe photo, release the shutter, and check the final result whilebeing included in the shot. [Reviews]ASUS ZenWatch: A FancySmartwatch That Measures Your RelaxationLevelshttp://mashable.com/2014/09/03/asus-zenwatch/ ASUS' stylishZenWatch is all about security, remote control andwellnesshttp://www.engadget.com/2014/09/03/asus-zenwatch-android-wear-specs/[Keyfeatures]With ZenWatch Remote Camera, you can:• Operate yoursmartphone’s camera from your ZenWatch • See the camera viewfinderremotely on your ZenWatch • Take single photos, optionally withlocation info• Record videos• Zoom in and out• Start the camera’sself-timer• Move your wrist (or shake the ZenWatch) to release thecamera shutter. [Tips]• In ZenWatch Remote Camera, tap anywhere onthe preview screen on the watch, or twist your wrist to takeshot. [Note]ZenWatch Remote Camera is only compatible with ASUSZenWatch smart watches.